Last week I had the opportunity to fish the new Scott S4 four weight in RMNP. It was an outstanding day, and I couldn't have asked for a more scenic place to break in the rod. I only had a couple of hours to fish, but caught browns and brookies on a royal wulff. The creek was a bit lower than the last time I fished it, but still held trout in the pools. The rod is fantastic. 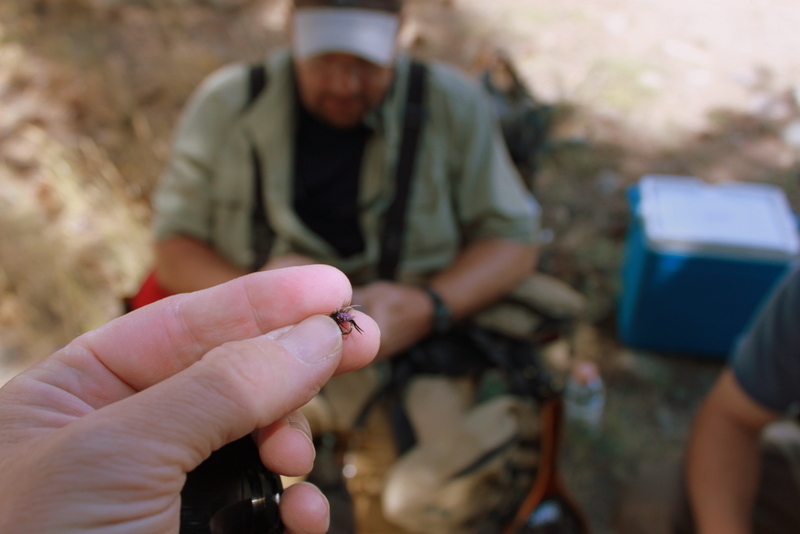 Fast action, yet sensitive enough to cast small dry flies. The day was slightly breezy, and it was easy to cast the size 18 royal wulff to the various pools that held trout. I'm looking forward to fishing it on some bigger water soon. I hope that you are able to enjoy some fine water soon! 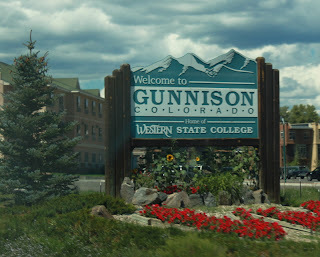 Every year a group of us go to the Gunnison area for a flyfishing trip. We stay in Almont, and fish the Taylor, Gunnison, and other surronding rivers. It is a great time in a beautiful part of the state, and we generally catch a lot of trout! Here a just a couple of photos of the trip. Selection of proper flies is vital to success! The Taylor River is a very peaceful place...full of trout! It rained every afternoon, but as long as there was no lightning, we kept catching fish! We stayed at a great cabin right on the river. 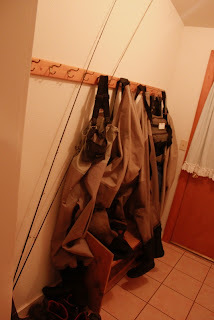 It was nice having a place to hang the fishing gear after a long day of being on the water. A few well placed stonefly nymphs seemed to intrigue the rainbows. We stopped on the Arkansas River on the way back home. We caught more brown trout fishing pocket water. A great finish to the trip! A good friend invited me to join him and another friend on a guided fly fishing trip to RMNP. On Friday, we met the guide in the early morning, and headed up to the park. Our first stop was a nice stretch of the Fall River. We hiked a way through the marsh, and fished hoppers for a couple of hours. We later moved to a stretch of Cub Creek, which produced a nice brown and brookie, both caught on a parachute adams...sized 12. We had a great time..the scenery was outstanding, and I enjoyed fishing new water that was previously unknown to me. This trip was a great way to get ready for the annual Gunnison trip next week. The name Big Dry Fly really reflects how I prefer to fly fish. If the fish are looking up...then you might as well tie on a size 12 Parachute Adams!